Since 1984, our firm has been providing quality, personalized financial guidance to local individuals and businesses. Our expertise ranges from basic tax preparation and accounting services to more in-depth services such as tax audits, compiled financial statements and financial planning. I am a Certified Public Accountant and have been working as a tax specialist for over 40 years. In the course of operating my own firm I have prepared corporate, partnership, proprietorship and individual tax returns for clients in all income-taxing states as well as six foreign countries. I have served as an expert witness in court proceedings, provided valuation expertise in divorce hearings and represented clients during IRS audits. I maintain an extensive tax library with state-of-the-art computer system and peripherals including electronic filing capability, internet access, fax communications and e-mail communications. I am a member of the Nebraska Society of Certified Public Accountants, the American Institute of Certified Public Accountants and, in 1999, was admitted to practice before the United States Tax Court. 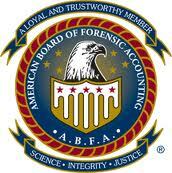 I am also a Diplomate of the American Board of Forensic Accounting, American College of Forensic Examiners and am available for litigation support.